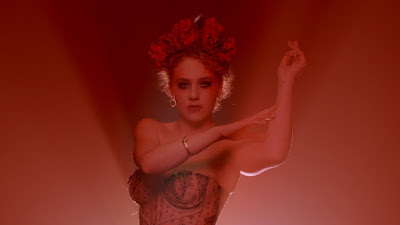 Singer/actress/dancer Kat Cunning has shared the official music video for her brand new single Wild Poppies. Directed by D. K. Dennison and Matilda Gaona, the video is highlighted by a series of stunning visuals and was choreographed by Kat herself. Watch it below. Blending pop, soul, and Baroque arrangements, Kat draws from her study of dance as well as her time on stage as a Broadway actress (Dangerous Liaisons, Cirque Du Soleil's Paramour, Sleep No More). She's also announced a North American tour as lead support for acclaimed singer-songwriter LP (aka Laura Pergolizzi).